Nick Carter, Alek Skarlatos, and Bindi Irwin are shwon along with their pro partners Sharna Burgess, Lindsay Arnold and Derek Hough. 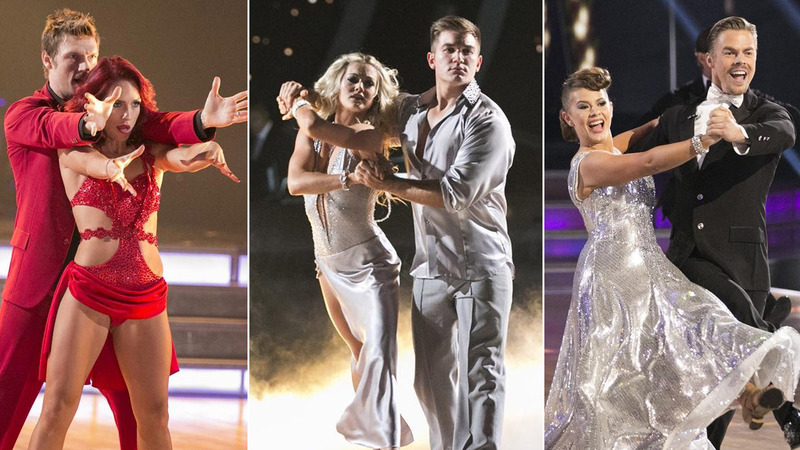 The three stars who made it to part two of the "Dancing with the Stars" finale had one more hurdle to cross before making their way to the sparkling Mirror Ball finish line: a 24-hour dance fusion competition. Nick Carter, Bindi Irwin, and Alek Skarlatos, along with their pro partners, put together one last routine, which earned them extra points from the judges. These scores were added to Monday night's scores, plus viewer votes, to determine the winner. Alek and Lindsay are awarded 3rd place. We also learn Alek is joining the national DWTS tour, so his dance career is far from over. Drum roll please: the winner of season 21 is Bindi Irwin! Nick Carter gets 2nd place, and humblingly says, "Bindi deserves it!" We'll be back for season 22 next March!